Happy Thursday all! Today I have Rick McQuiston on my blog with his book, When Only The Nightmare Remains. The title certainly sounds ominous, but the scaring red eyes he shares with us definitely brings along the goose-bumps! Of all of the stories I've written I'd say the one I used a real life experience to write would have to be A Trip to Grandma's House. It's a short, scary tale that centers around an old building near my grandmother's house. It was a party store in better days and had devolved into a true derelict of architecture. It stood there, not more than a few hundred feet from my grandmother's front porch, seemingly mocking me with whatever lurked inside its walls. Every time we'd drive past the place (in my dad's cumbersome Oldsmobile, no less) I would gaze through the car's grimy windows and wonder what those walls hid. Year after year we'd visit my grandmother, usually on holidays, and every single time that building was closed. Then one time it was open. I remember being mesmerized at seeing lights on in the building and struggled to see inside as much as I could. I also remember walking over to the store after my dad parked in my grandmother's driveway, and after I worked up the nerve, stepped up to the front door. The handle (a neglected, cold thing) felt like a venomous snake in my hand, and I quickly released it due to the irrational fear that it might actually open the door. Then I shuffled away from the building, only daring to take a peek behind me when I was a good hundred feet or so away. To this day I swear I saw something, something red, something that should not have been in the building but was. I assumed (during the sleepless nights that immediately followed) that they were eyes, but eventually came to accept that they were some sort of equipment generally used in party stores (the power lights for a fridge or freezer, or perhaps a cooking device?). This rationalization allowed me to get a grip on reality again, but there still resides in some part of my brain the notion that what I saw should not have existed, but did. I wove my experience into my tale, embellishing it here and there, but retaining the dread I felt at the time. I think this aspect gave the story the feeling I was looking for when I wrote it. Did his story raise the hair on your arms like it did mine? Let's find out about the book. A town sheriff and three young boys manage to overcome an evil entity threatening their town. Emily nudged closer and closer to the spider-webbed pane of glass. The window offered little in the way of a view—being octagonal and no larger than a dinner plate— but what it did reveal was adequate to say the least. It allowed anyone gazing through it to see the lush rolling landscape surrounding the house…and all it contained. Feeling her already weak heart pound heavily in her chest, Emily scanned the grounds intently, watching for any signs of movement, for any hint of life. For any signs of William. She held the Book tightly in her small hands, refusing to relinquish it to anything or anyone. She had only scratched the surface of its contents, but that was still enough to impart its importance to her. Her eyes moistened with tears as she thought of earlier, happier times in her life and her marriage to William. She should have been thinking about raising a family and planting flowers around the front porch of her home. She should have been thinking about what to cook for dinner when her husband returned home from a hard day’s work. All these simple notions, ones so many young people took for granted, were well beyond her grasp. In their place were terrifying visions of a dim future. Or worse—no future at all. Movement caught her eye, sending a fresh batch of fear down her already frail spine. She rubbed her eyes to clear them and stared at the spot where she thought she had seen something. It took only a few seconds before her fears were confirmed. Something had moved. She was sure of it, but it was not easily noticeable. Whatever was lurking in the dense foliage was crafty and using stealth to its advantage. passing minute. She also knew that eventually, inevitably, it would reach her house. bullet found its way into his forehead, killing him instantly. Some said that it was a suicide. Perhaps it was, but Emily was not so sure. William had no reason to kill himself. The pain of that day pushed its way into Emily’s heart, so slowly at first as to be almost unnoticeable, but gradually increasing in its intensity. William had been a good man and a good husband, at least he was before he had changed into a cold, cruel person wholly incapable of compassion or love. Emily stepped back from the window and slumped into a small, worn leatherback chair. She was exhausted, both physically and emotionally, and the alluring thought of sleep entered her mind more than once. She ignored it. She had too many problems, too many things to think about to be able to enjoy a good rest. Not that she didn’t deserve it. figure huddled in the attic of the building, and end her life. SPOOKY! Great Excerpt. Let's see what we can find out about Rick. Rick McQuiston is a forty-six year old father of two who loves anything horror related. By day, he works for a family-owned construction and management company. By night, he churns out horror fiction. Rick has well over 300 publications so far. He’s written seven anthologies, one book of novellas, and edited an anthology of Michigan authors. He’s also a guest author each year at Memphis Junior High School, and is currently working on his fifth novel, a Cthulhu-based anthology. Rick currently has two novels with Class Act Books: Fear the Sky and When Only the Nightmare Remains, which was voted #2 in Horror for 2015 by the Paranormal Romance GuIld’s Reviewer’s Choice. Thanks so much Rick, for sharing a scary moment in your childhood life and your book. I hope you have great sales from it. If you are a visitor here, please leave us a comment and let us know you stopped by. We love to hear from our readers. Happy Thursday everyone and welcome to my blog. Today I have Kenneth Gordon visiting. He's sharing his search to find someone to help give him information, and his book, In My Blood. Let's check it out! It all started when I tried to take my orange cat Frodo outside (he’s an indoor cat) to take a lap around the yard. A big truck rumbled by and scared him. He tried to pull away, but I held him fast. Unfortunately, his claws did some damage to my shirt and myself. I had what looked like a reverse ‘N’ scratched on my chest. That night I got to thinking, what if there was a plague on another world and emissaries were sent out to find a chosen person to save them, who was recognizable because he had this mark? The next day, I started writing, but I knew I needed help in creating the plague. The hardest thing was to find someone to help me with that information. I wanted to make sure it was plausible and the cure could possibly work. So…I called the CDC. They must have thought I was a nut, a terrorist or both, because no one wanted to talk to me. No one would return my calls. After some time and effort, I found a local HIV doctor who was willing to help me. Most of my ideas were spot on, but she was instrumental in getting the rest right. She’s getting a signed copy of the book. If you discovered your blood could save an alien people from death at a great cost to you, what would you do? Thomas Anderson, from New Hampshire, is just about to start his third year of pre-med at Emory University when he meets a strange little man. Tom is whisked away to the whirlpool galaxy as he starts researching the plague and begins working towards a cure. Little does he know that the cure will cost him everything! He must decide if he is willing to give up his life for a people he doesn’t know on a world that is not his own. Thom walked out of the post office and down to the dining hall alone. This was going to be his last dinner at school for a while, maybe a long while. He hoped the food was be memorable. Salisbury steak was on the menu. He grimaced at the thought. He selected fried chicken, okra, hush puppies, corn bread, and some kind of greens mingled on the tray. It certainly wasn’t the healthiest, but it beat the alternative. Picking up a cup, he pushed it into the bay of his selected soda. No ice, it’s better that way. Thom selected a table in the back and took a drink from the red plastic tumbler. He took one last, long look around, trying to take it all in and remember it. He wasn’t sure if he would ever see it again. The fountain had real Coke this time. He took another drink and started in on the chicken. Just then, Kai showed up at the table. “Not the healthiest, I know. What did you want to talk to me about?” A bolt of fear shot down Thom’s spine. He moved around in his seat and inched slightly away from Kai. “Simple, you are the Chosen One.” Kai smiled with complete confidence. “Maybe your prophets got it wrong. You know, if a prophet gets it wrong, then you don’t have to listen to them,” Thom denied it. Kai-min stood and left the table while Thom held his head in his hands. What am I getting myself into? Thom, you are an idiot. How can I help these people? I’m not even a real doctor yet. I don’t have the experience, but now because my cat cut me up, I’m this ‘Chosen One’? Yes, leave it to a 'cat' to start something. LOL Enjoyed the excerpt. Let's see what we can find out about the author! Kenneth Gordon grew up in Milford, NH and still lived in that state. When he isn’t writing scifi-infused horror novels, he plays PC games, electric and acoustic guitars, and drums. He also holds a brown belt in Kung Fu. Thank you, Kennth, for stopping by and sharing your book. I hope you have great success with it. Readers, please leave us a comment letting us know you've stopped by. We love to hear from you. Happy Hump Day everyone! Please welcome Jana Richards on my blog today with all kinds of specials and prizes on her Blog Tour! Be sure to check it all out! Tell us about all this, Jana! Wow! These all look like great reads, Jana! Thanks for sharing this and offering this opportunity! The books should intriguing, and I think I'm gonna add these to my TBR list. Visitors: Please leave us a comment that you've visited. We love to hear from our readers, and don't forget to take advantage of the prizes listed above! Hello and welcome to the start of another week in March! 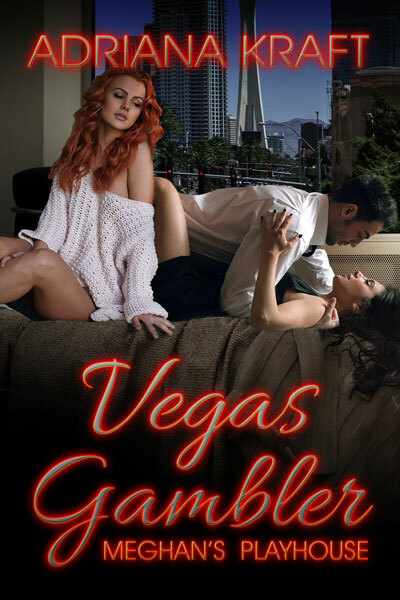 It's always a pleasure to have a return romance author back on my blog, and today, I have Adriana Kraft back, with her Blog Tour and new release, Vegas Gambler. 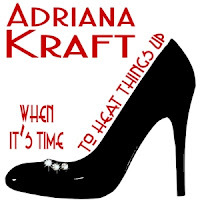 Please welcome Adriana, and let's check out what her new release! Vegas Gambler will be on tour from March 5 through April 5, and weâre giving away one free download from the Publisherâs Website to each of two winners. Winners may select from books One through Four in our Meghanâs Playhouse Series. You can find all series books at this link: http://www.extasybooks.com/meghan-s-playhouse/. Remember you may increase your chances of winning by visiting the other tour stops. You may find those locations here. Heâs fifty-one, theyâre in their twenties. Can Jack Hawthorne keep up with two women? How will he protect his heart? Fresh with success from a recent stint in a musical on the Las Vegas Strip, Meghan Keenan takes some time off to play with her current flame, Jack Hawthorne, professional poker player. Sheâs delighted to add her petite masseuse Tia Minh to the mix and even more thrilled when she learns Tiaâs relationship with her boyfriend Tony Sanders is on the skids. Itâs the perfect challenge! Tia has different ideas â she thinks Tony would be perfect for Meg, and she conspires to throw them together any way she can. Ever the gambler, Jack catches on to her game quickly and keeps the ruse going behind Megâs back. Who knew his heart was up for grabs? Thank you so much, Adriana, for stopping by. I hope you have great success with your Blog Tour and I wish you many sales! If you're a visitor to this blog, please leave us a comment so we can chat with you. We love talking with our readers and guests.